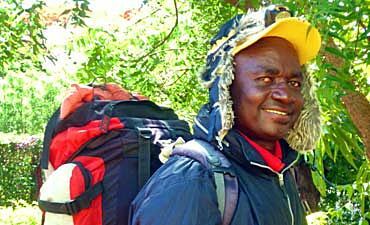 What Do I Carry In My Kilimanjaro Day Backpack? 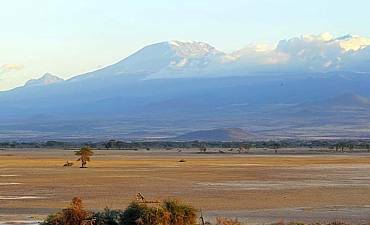 Scroll Down For Details..
Each day you will repack your two bags, taking only what you will need to trek on Kilimanjaro between one camp and the next as well as your water bottles and such things as energy snacks in a small or medium sized backpack. The rest go in the duffle bag for your personal porter, carefully sorted into waterproof plastic bags. Keep your documents, passport and wallet with you at all times. You are carrying water to avoid dehydration. 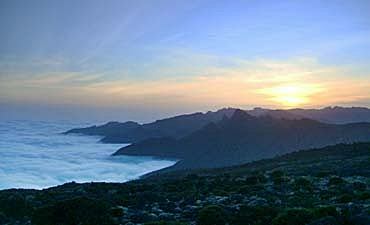 To climb Kilimanjaro mountain, you need about five liters each day. An insulated Camelbak tubed bladder is best, or keep a tubed plastic water bottle handy at the side of your pack to sip as you go. 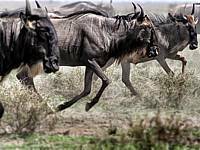 Uhuru Trails by AfricanMecca warns that you must constantly drink to avoid altitude sickness. In freezing conditions, water can solidify in the tube, but if warm water is used to fill the insulated water bladder it will remain liquid if you sip frequently and blow gently down the tube after you have finished. Waterproofs, spare socks and suitable spare clothing for the climate zone go with you, as well as lip balm, snacks, wipes, hat, watch, sunglasses and camera. 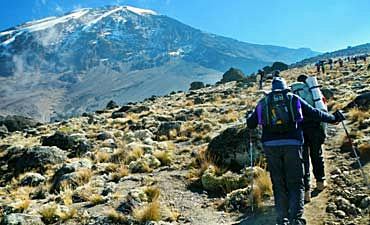 What you need to carry on your Kilimanjaro challenge will differ from day to day, so take note of evening briefings about terrain and weather to allow you to pack whatever will be most useful the next day. 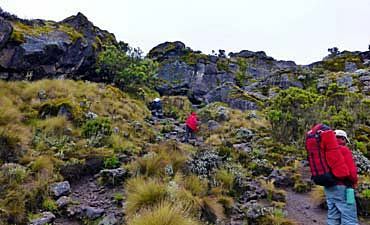 On the lower slopes, you will need to keep cool and dry on your Mt. 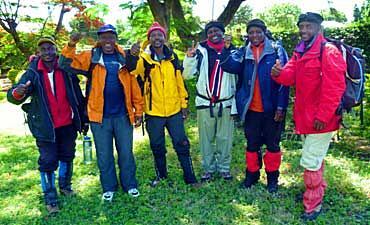 Kilimanjaro hiking trip, with short sleeved shirt, insect repellent, short trousers and wide-brimmed sun hat. 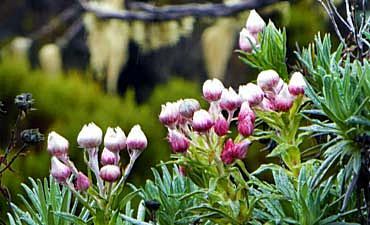 In heathland and arctic alpine zones, you need protection from the sun with long-sleeved shirts and long trousers. There are useful convertible pants which unzip to be either short or long. A warm fleece would serve on cool mornings. On higher slopes, you need to combat freezing winds, with insulated jacket and ski trousers or thermal under layers. You may want sweets or gum to keep your mouth moist. Menthol pastilles may help breathing. A map, guidebook and compass could be useful, as could a whistle and a small pair of lightweight binoculars. Just beware of metal at altitude: it can stick to your skin with freeze-burn. 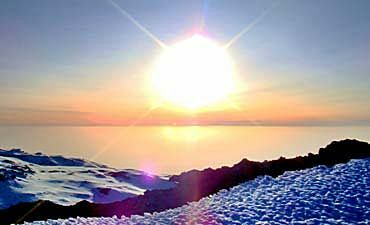 In warm and temperate zones while trekking during the day, a small trowel and toilet paper solve hygiene problems, but in permafrost areas, waste does not degrade so must be taken away in doggie poop bags to merit a clean ecological conscience. 1. 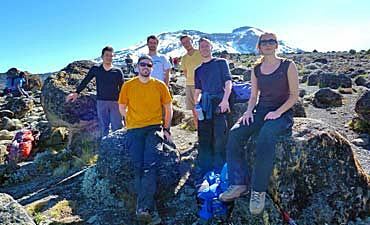 Do You Offer Private & Fully Customizable Climbs For Kilimanjaro? 2. 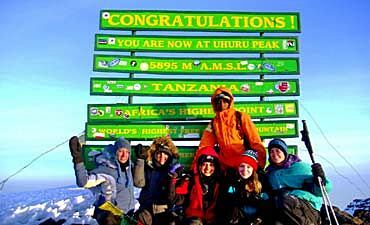 Do You Offer Charity Treks For Mount Kilimanjaro? 3. 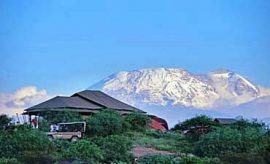 Do You Offer Crater Camp Option On Kilimanjaro Climbs? 4. 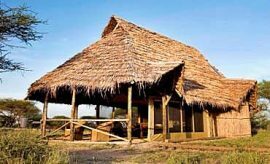 After My Kilimanjaro Climb, Can I Combine A Tanzania Safari With AfricanMecca And What Are The Experiences Like? 5. 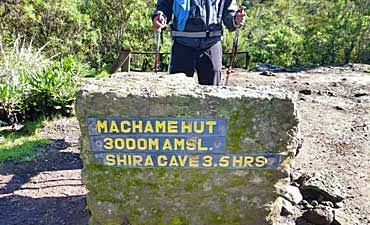 What Costs Am I Paying For When Climbing Kilimanjaro With Uhuru Trails By AfricanMecca? 6. 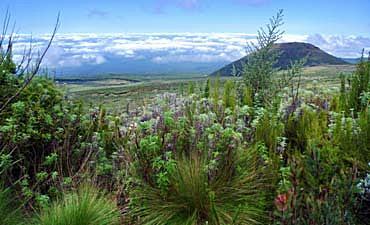 What Is The Tipping Recommendation For Kilimanjaro Treks? 7. 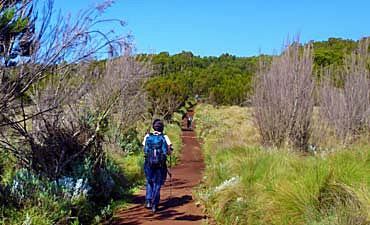 Please Tell Me About A Typical Day On A Mount Kilimanjaro Climb With Uhuru Trails By AfricanMecca? 8. 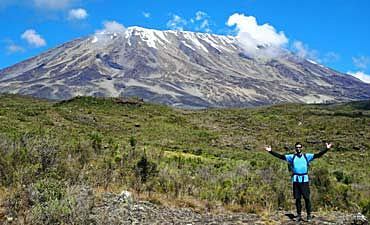 How Do I Pack For A Kilimanjaro Trek? 9. What Gear Do I Need To Carry In My Day Backpack And How Should I Pack It? 10. 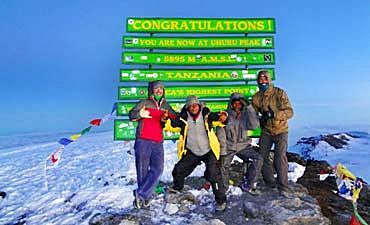 How Can I Minimize My Ecological Footprint On Mount Kilimanjaro?